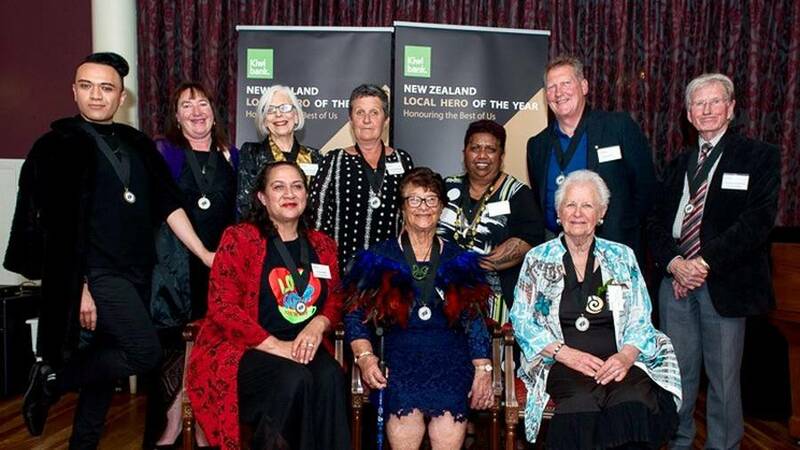 Rotorua's local heroes announced last night. Locals have proved you don't have to wear capes and fight crime to be a hero. The annual Kiwibank Local Heroes Awards is held in each region and celebrates those who have made a positive contribution to their community. The Rotorua and Taupo awards ceremony was held tonight at the Princes Gate Hotel, with Local Heroes medals presented to eight people from Rotorua and one each from Mamaku, Taupo and Ohakune. Deputy mayor Dave Donaldson presented the medals, saying the ceremony was a fantastic opportunity to acknowledge the efforts of many in the community. "This year's recipients are motivated, generous and dedicated people who have all impacted our community in unique ways. "The positive difference they have made to the lives of others cannot be overstated." President of Swimming Bay of Plenty Bronwen Radford was one of the winners and said she never imagined her love for swimming leading to this moment. She is not sure who nominated her but was over the moon to receive the award. "I don't do what I do to win awards, so I was a bit shell-shocked when I heard the news. It was definitely a humbling experience." Radford has been heavily involved in swimming for about 20 years, ever since her sons Reagan and Kane took a liking to the sport - with Kane competing internationally and in last year's Olympics. "Swimming is in my blood now, it will always be a part of me," she said. Radford helped bring the swimming nationals to Rotorua in February, as well as securing it for 2018 after the city had gone years of not hosting. "I want to showcase Rotorua and our swimmers every chance I get. I'm Rotorua born and bred and I'm proud of it." On top of organising events and working as a home-based childcare educator, Radford still finds time to coach the next generation of swimmers at the Rotorua Aquatic Centre. She loved to see kids grow and develop life skills through the sport. "I have the best job in the world. I get to combine my passions of swimming and working with kids and I wouldn't trade it for anything." Radford and the rest of last night's winners will find out next month if they have been named as one of the 10 semifinalists. The national winner of the Local Heroes Awards will be announced in February at the New Zealander of the Year Awards Gala in Auckland. Soloman gives outstanding service to Rotorua through sport in a variety of ways. She has coached basketball, served on committees and been involved with rugby. She works tirelessly behind the scenes to make a positive difference to young people's lives. Thurston is the chairwoman of Speech New Zealand, a Speech New Zealand trustee and senior examiner. She tirelessly gives her time to promote oral communication, speech and drama and theatre, including teaching at John Paul College. Co-founder of Love Soup, providing a daily free meal to people in need, sometimes working up to 500 hours per month and helping 50 to 150 people per day. An energetic 86-year-old who buzzes around Rotorua doing good deeds. Member of Kiwi Coffin Club, Red Cross Shop volunteer, visits RSA members in hospital. Founder Kharl Wirepa Fashion, general manager Miss Rotorua pageant. This year has helped raise $60,000 for local charities. Representative of Ngati Te Roro o Te Rangi, Eastside Community Collective and has just completed work on the Eastside Youth Space. Selfless contribution to the community for 49 years, through after-school and holiday programmes and volunteer work in local schools. She has also held many public roles, acting as role model for younger generation. Long-time volunteer at Mamaku Play Centre and Mamaku School, undertaking numerous roles. For 50 years, Anderson has been involved in theatre in Taupo. He is also involved with the Taupo Gliding Club. A ruahine, keeper of Whanganui traditional knowledge. Teaches te reo at schools, adviser in tertiary education programmes as an advocate for te reo Maori revitalisation. Also a Eucharistic Minister for the Catholic Church.